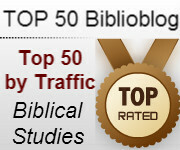 I was very pleased to see that I made the top 50 biblioblogs according to Peter Kirby. In fact, I made it to 35, which was more than I expected. Of course that with the previous incarnation of this blog, but that is okay. What is a biblioblog? It is a blog that deals with Bible-related topics. Most of my educational background is in biblical studies and I love to talk about it. 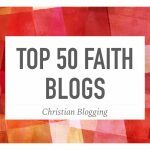 I would encourage you to check out the other links on the list as there are some great blogs there. While I am thankful that the old version of the blog made it that high, it will be work to keep the new blog there as I am starting all over. You can help in a number of ways. You can sign up for email notifications when I write a new post. You can share my posts on social media. If you have my old blog url on your blog roll, you can update it to the new url. I appreciate all your support. What is a Bible Promise?